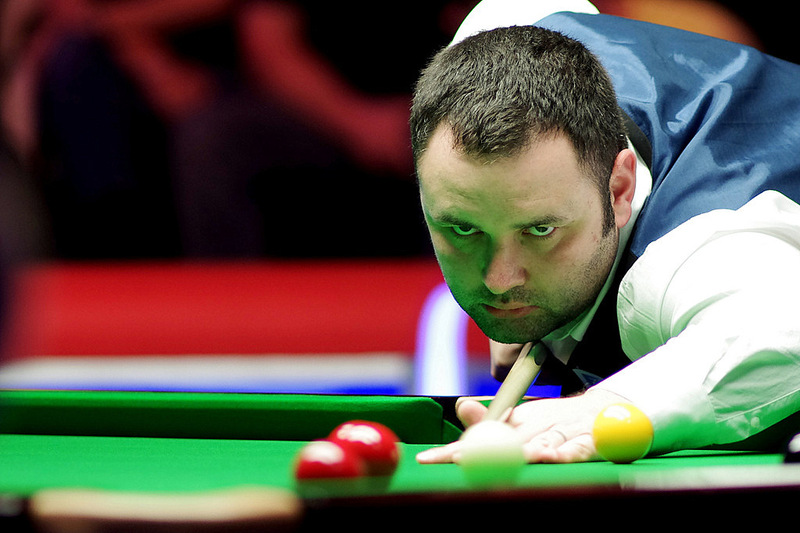 Stephen Maguire won the new Lisbon Open in Portugal, beating Matthew Selt 4-2 in the final. Only last month, after losing his opening match at the Champion of Champions event against Judd Trump, Glasgow’s Maguire admitted he was thinking of quitting snooker. Since then he has reached two semi-finals, and now won a tournament carrying ranking points for the first time since the 2013 Welsh Open. With victory over Selt – who was playing in his first professional final – world number 12 Maguire took the 25,000 Euro top prize at the season’s penultimate Kreativ Dental European Tour event. World number 42 Selt, who knocked out the likes of Judd Trump and Barry Hawkins, took the opening frame of the final with a break of 78. Maguire nicked the next by clearing from brown to black, then compiled a run of 100 to lead 2-1. Selt levelled with a break of 69 and led 30-0 in frame five. But Maguire took it with runs of 50 and 26, then made an 86 in the next to seal victory. The first ever professional tournament in Portugal was enthusiastically received by the local community, with fans flocking to the Casal Vistoso Sports Centre in Lisbon to watch many of the world’s best players. The other highlight of the tournament was a 147 from Ben Woollaston – the first maximum of his career – on Friday. The 2014/15 Kreativ Dental European Tour series comprises six events across the continent, with the top 24 in the final Order or Merit to go through to the Players Championship next March to battle for the £100,000 jackpot. The next and final event is the Gdynia Open in Poland from February 26 to March 1.